I have a new post up on the Scrappin' Goodtime blog today, sharing decorating ideas for gifts in a jar using the new Pebbles Harvest collection. Check it out HERE! Do you give gifts-in-a-jar? 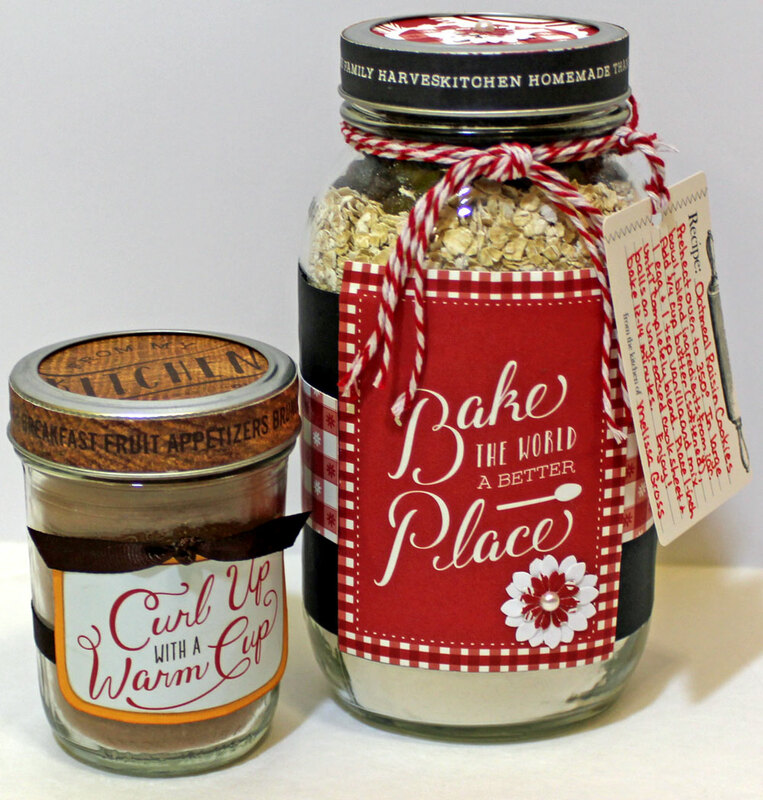 Please share your favorite recipe or jar decorating idea in the comments. These look lovely - such great labels. I like to make fudge and pop in into a jar :).